- Mid-South Superdome Extravaganza (May 1, '82) = Blanchard fell to Ted DiBiase. 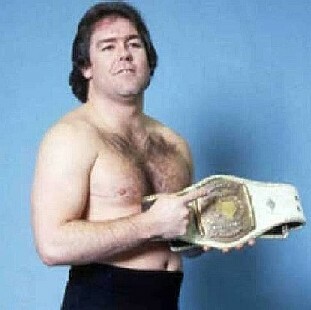 - Mid-South Superdome Extravaganza (November 25, '82) = The Dynamic Duo (Blanchard & Gino Hernandez) were beaten by Mil Mascaras & Chavo Guerrero Sr.
- NWA Starrcade '84 (November 22) = Blanchard retained the NWA Television Championship, pinning Ricky Steamboat. - NWA Great American Bash '85 (July 6) = Blanchard lost the NWA Television Title to Dusty Rhodes in a "Steel Cage" Match. 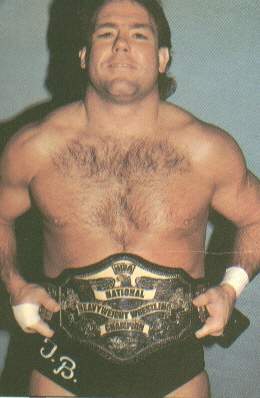 - NWA Starrcade '85 (November 28) = Blanchard lost the NWA United States Title to Magnum T.A. in a "Steel Cage I Quit" Match. - NWA/AWA Rage In A Cage (April 28, '86) = Blanchard stayed the NWA National Champion, winning, via DQ, over Ronnie Garvin. - NWA Great American Bash '86 (July 5) = Blanchard lost a "Taped Fist" Match to Ronnie Garvin. - NWA Great American Bash '86 (July 26) = Blanchard won a "Taped Fist" Match over Ronnie Garvin. - NWA United States Tag Team Title Tournament (September 28, '86) = Blanchard & Jimmy Garvin took down Jimmy Valiant & Manny Fernandez, then fell to Bobby Jaggars & Dutch Mantell. Ivan Koloff & Krusher Khruschev won the tournament. - NWA Starrcade '86 (November 27) = Blanchard won the NWA Television Title from Dusty Rhodes in a "First Blood" Match. 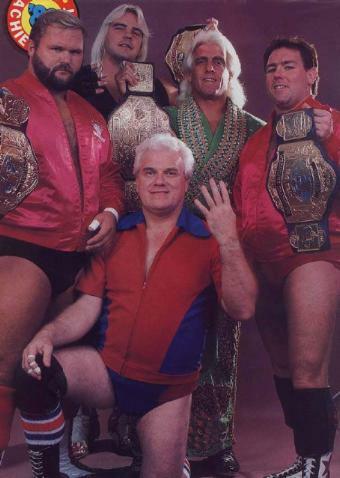 - NWA '87 Crockett Cup Tournament (April) = Blanchard & Lex Luger defeated the MOD Squad, the Armstrongs, and Isao Takagi & Giant Baba, before losing in the finals to Dusty Rhodes & Nikita Koloff. - NWA Great American Bash '87 (July 4) = The Four Horsemen (Blanchard, Arn Anderson, Ric Flair, & Lex Luger) & JJ Dillon lost a "Wargames" Match to Dusty Rhodes, Nikita Koloff, the Road Warriors, & Paul Ellering. - NWA Great American Bash '87 (July 18) = Blanchard lost a "Barbed Wire Ladder" Match to Dusty Rhodes. 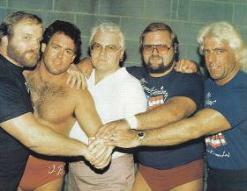 - NWA Great American Bash '87 (July 31) = The Four Horsemen & JJ Dillon lost a "War Games" Match to Dusty Rhodes, Nikita Koloff, the Road Warriors, & the War Machine. 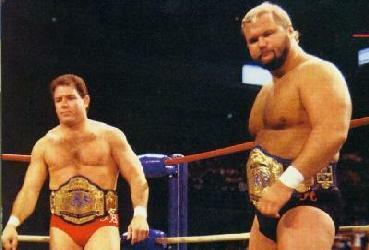 - NWA Starrcade '87 (November 26) = Blanchard & Arn Anderson stayed the NWA World Tag-Team Champions, winning, via DQ, over the Road Warriors. - NWA Bunkhouse Stampede (January 24, '88) = Blanchard competed in the Bunkhouse Stampede, which was won by Dusty Rhodes. - NWA Clash of the Champions I (March 27, '88) = Blanchard & Arn Anderson lost the NWA World Tag-Team Titles to Lex Luger & Barry Windham. - NWA '88 Crockett Cup Tournament (April) = Blanchard & Arn Anderson won over Kendall Windham & the Italian Stallion and the Fantastics, before losing in the finals to Lex Luger & Sting. - NWA Clash of the Champions II (June 8, '88) = Blanchard & Arn Anderson, as the NWA World Tag-Team Champions, fought to a Double Disqualification with Dusty Rhodes & Sting. 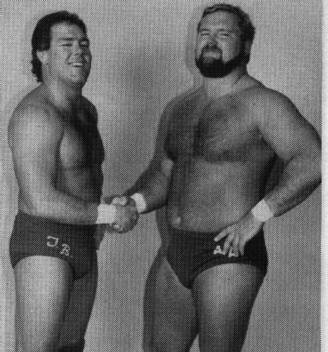 - NWA Great American Bash '88 (July 10) = Blanchard & Arn Anderson, as the NWA World Tag-Team Champs, fought to a Draw with Nikita Koloff & Sting. - WWF Survivor Series '88 (November 24) = The Brain Busters (Blanchard & Arn Anderson), Demolition, the Bolsheviks, the Fabulous Rougeau Brothers, & the Conquistadors fought in a "Tag-Team Elimination" Match against the Powers of Pain, the Young Stallions, the Rockers, the Hart Foundation, & the British Bulldogs. The Brain Busters fought to a Double Disqualification with the Rockers. The Powers of Pain were the sole 'survivors'. - WWF Royal Rumble '89 (January 15) = Blanchard competed in the Royal Rumble, which was won by Big John Studd. - WWF Saturday Night's Main Event #20 (February 16, '89) = The Brain Busters fought to a Double Count-Out with the Rockers. - WWF Wrestlemania V (April 2, '89) = The Brain Busters defeated Strike Force. - WWF Saturday Night's Main Event #21 (April 25, '89) = The Brain Busters won, via DQ, over the WWF Tag Champs, Demolition. - WWF Saturday Night's Main Event #22 (July 18, '89) = The Brain Busters won the WWF Tag-Team Titles from Demolition in a "Three Falls" Match. - WWF Summerslam '89 (August 28) = The Brain Busters took down the Hart Foundation. 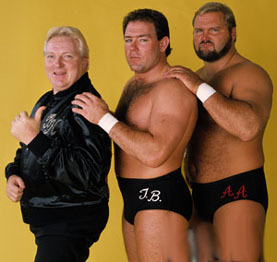 - WWF Saturday Night's Main Event #24 (October 31, '89) = The Brain Busters lost a "Three Falls" Match to the Rockers. - TSWA Spring Spectacular (March 31, '90) = Blanchard won a "Steel Cage" Match over Bam-Bam Bigelow. - AWA SuperClash IV (April 8, '90) = Blanchard defeated Tommy Jammer. - TSWA Summer Sizzler (June 9, '90) = Blanchard fell to Paul Orndorff. - ECW Double Tables (February 4, '95) = Blanchard lost to the ECW World Champion, Shane Douglas. - NWA 50th Anniversary Show (October 24, '98) = Blanchard & Tom Pritchard lost a "Four Corners" Match to Eric Sbraccia & Knuckles Nelson, who won the NWA World Tag-Team Titles. Khris Germany & Kit Carson and the Border Patrol were the other participants. - Heroes of Wrestling (October 10, '99) = Blanchard pinned Stan Lane. - Wrestle Reunion #1 (January 29, '05) = Blanchard lost to the NWA World Champion, Jeff Jarrett. - World Wrestling Legends PPV (March 5, '06) = Blanchard & David Flair fell to Mike Graham & Dory Funk Jr.
- WWE WrestleMania XXVIII (April 1, '12) = The Four Horsemen (Blanchard, Arn Anderson, JJ Dillon, Ric Flair, & Barry Windham) were inducted into the WWE Hall of Fame.